We need to recognize the alter spirit when it is right in our face. I am writing this short post to expose something I feel is rather prevalent, but is normally hidden from view. 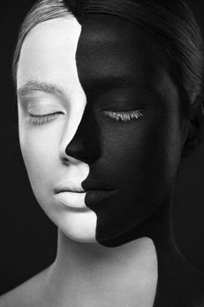 There are many who can have 2 sides to them, and they do not know it. They are nice most of the time, but will then suddenly “snap,” and become hateful, or display some other negative behavior. Of course, it is our fault, not theirs. They are nice if things go their way, but will attack you if they do not get what they want. They are not having a bad day. They are expressing an alter spirit to their soul, that does not belong in them. In therapeutic terms, they have a dissociative personality. Psychology does not deal with the spirit realm, so it has a “psychic” definition for everything. 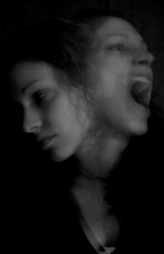 Dissociative identity disorder (DID), previously known as multiple personality disorder (MPD), is a mental disorder on the dissociative spectrum characterized by at least two distinct and relatively enduring identities or dissociated personality states that alternately control a person’s behavior, and is accompanied by memory impairment for important information not explained by ordinary forgetfulness. These symptoms are not accounted for by substance abuse, seizures, other medical conditions, nor by imaginative play in children. 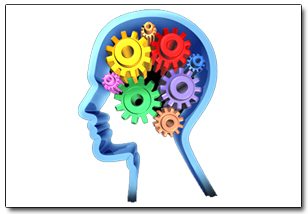 Diagnosis is often difficult as there is considerable comorbidity with other mental disorders. Malingering should be considered if there is possible financial or forensic gain, as well as factitious disorder if help-seeking behavior is prominent. Malingering is the purposeful production of falsely or grossly exaggerated complaints with the goal of receiving a reward. These may include money, insurance settlement, drugs or the avoidance of punishment, work, jury duty, the military or some other kind of service. **This can happen in a church or home as well. A malingerer may respond to items in a certain manner to attain release from incarceration. One example is the case of Ganser syndrome, which is when a person tailors their answers to fake psychosis. This syndrome is also known as approximation, or nonsense syndrome. Malingering can lead to abuse of the medical system, with unnecessary tests being performed and time being wasted by the clinician as opposed to those with legitimate health problems. ** also manipulation of ministry, family, neighbors, work. Manipulation suggests the “poor little me jezebel” spirit as one contributing factor. They use victimhood as a weapon. A malingerer may attempt to raise the temperature of a thermometer through heat from a lamplight or alter a urine sample by adding sand to it; however, if the malingerer is more discreet, the clinician will have great difficulty gathering evidence for an accurate diagnosis. DID is one of the most controversial psychiatric disorders with no clear consensus regarding its diagnosis or treatment. Research on effectiveness of treatment has been concerned primarily with clinical approaches and case studies. Dissociative symptoms range from common lapses in attention, becoming distracted by something else, and daydreaming, to pathological dissociative disorders. No systematic, empirically-supported definition of “dissociation” exists. It is not the same as schizophrenia. Psychiatry cannot treat this, because pills do not get rid of a spirit. If you know someone like this, they need deliverance and healing, in the name of Jesus. They will draw all your energy, and make you feel exhausted. But they really need help. May God bless you and keep you. May his face shine upon you, and give you peace. Marianne – I am reminded of the passage, Matthew 13:24-30, how the Kingdom of Heaven is like a man who sowed good seed in his field, an enemy planted tares among the good wheat. As the field grew the servants of the owner asked if they should gather up the tares. They were told no, that while they gather up the tares they would uproot the wheat with them. They were to wait for the harvest. We are not the ones to separate the sheep from goats, good from the bad, the righteous from the wicked, the tares from the wheat. 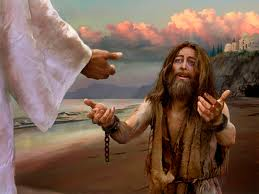 Jesus will do this when He comes as only He can truly know someone’s heart. Sometimes an individual is occupied with a demon spirit. There is evil in this world that takes on, and takes over, many forms. This war is a spiritual war (as much as it will become more physical) but we are already covered with the blood of Jesus and the full armor of God. We are spiritual warriors. Our prayers matter. I am just mindful that as we offer our prayers, we do so without judging. Hi Marianne – Your topic is timely and spot on. You hit the nail on the head. I think many people today, including myself, are suffering because of people with DID. They are either being raised by them, or are married to them, or are raising a child with DID (which is heartbreaking because you can’t establish a bond) and… which I believe is what my adult daughter has and was actually formally diagnosed with many years ago in her teens. She is now in her late 30’s, married with two young children whom I am not allowed to see because of false memories she has conjured up and that my jezebel mother and son-in-law have led her to believe. Your description fits my daughter to a tee. She also doesn’t remember much of anything positive about me — her image of me is all distorted. In my case that is because my jezebel mother and narcissistic son-in-law turned her against me so they could have her all to themselves and keep her imprisoned in this state of being — who she was never meant to be. I deeply regret having allowed my mother to have access to my daughter throughout her formative, impressionable years and then not being more forceful about her not marrying a corrupted soul who uses religion to hide the truth in plain sight. As a result I lost my daughter (my only child) and two grandchildren who were my whole life. Since I no longer speak to my jezebel mother i have no family. It is a deep regret and a depth of pain I cannot describe. The loss is unbearable. I know many people are suffering because a loved one (although its hard to love them) has DID. Here is something you and others may find interesting. When my daughter went for at least several consecutive (‘consecutive’ being the operative word here) months without being influenced by toxic people and jezebels (not those with DID, but ‘evil to the core’ sub-humans, like my mother for one) she was kind, loving, generous and empathic and her DID disappeared and all the negative was replaced with positive — like night and day. Just thought I’d throw that out there, as this was my personal experience. And, I experienced this positive change and amazing transformation many, many times over the course of her childhood, adolescence and her young adulthood as well. She lived with me until she was 27-yrs old so she could earn her Masters degree without racking up tons of student loan debt. So, we were very very close until my jezebel mother interfered and made sure she married crazy man with no heart and soul. As soon as even one, of what I call ‘the Devil people’ ,was in her life, whether she was dating one or she was involved with one in any way or spending time with my mother, the DID symptoms (every one of those you described) all re-surfaced. When I would try calmly discussing this with her she would become enraged and would accuse me of being the problem — that I was the one with the problem and she would turn against me, accusing me of being hateful and Un-Christian. It’s as if these people have a spell on her, and whenever they were around her this disorder would reappear, otherwise she was fine. If only I could get her away from all of them, but I can’t as she is an adult on her own. I continue to repeat the prayers you provided me a few months ago. I’ve also noticed DID is not the same as narcissism, Narcissistic Personality Disorder. My daughter had DID (at least when the toxic people were in her life) but she has no narcissistic traits. I think there is some overlap with NPD and DID, but there’s a difference. I don’t think they are one and the same. And, unlike narcissists, people with DID do not want to be pampered. I know if I tried pampering my daughter in my discreet efforts to sway her away from the evil people she’d perceive it as me trying to buy her love — and that didn’t sit well with her… probably because she’s not narcissistic. Growing up with narcissists and raising a daughter with DID I believe that narcissists want and expect to be pampered, while those with DID feel insulted, as they view it as condescending, even though that isn’t the intent. Based on past history, with my daughter, when she is surrounded only by kind, loving Christians who are real, genuine, and therefore empathic and compassionate, she gradually becomes like them and the dark, ugly side of her disappears — all the DID symptoms you mentioned slowly vanish within weeks or months. I’ve witnessed this transformation many times. If only I could get her away from them I could make her whole again and I believe this dark, evil spirit would want to leave. But she would have to permanently cut ties and stay away from all of them, the Devils and Jezebels, forever. Out of a total of about 60 family members, immediate family and extended family (aunts, uncles, 1st cousins) my daughter is the only family member with DID, among a family of narcissists and about a dozen sociopaths (yes, I had a horrible childhood). So, that is how I am arriving at my conclusions and making my comparisons. When you raise a child with DID, much like a child with Autism, (not comparing the two here) you know what the disorder looks like because you’ve lived it — so, I know you hit the nail on the head. … AND if they are closely involved with these horrid people, it triggers the disorder… just my theory, not based upon scientific fact. And also because their toxic influence upon me was more intense than that upon my daughter and I suffered abuse at the hands of these horrid people (my daughter wasn’t abused by them) and I don’t have DID. So I’ve wondered if this is because I am not genetically predisposed….again, not sure, just my theory. What I am saying is that DID and Jezebel spirit both run in my large family which has been torn apart by them. Although my daughter (unfortunately) is still close to my mother, we are no longer a family. It is completely ripped apart and these evildoers take absolutely no responsibility. I think most psychologists believe there is a biological basis AND that spiritualists believe there is only a spiritual basis. I don’t think either can be proven without a doubt. My conclusion; I believe it is bio-spiritual (hey, I just coined a new term) however I have no way of proving the biological component that I believe in… in addition to the spiritual component. What are your thoughts here. In other words. based upon my (six decades of) actual life experiences with these toxic people I think it’s a combination of both biological/hereditary AND also spiritual, but again that hasn’t been proven either way, which is why I am stating it as my belief (and may I add, a very strong one at that) and not as factual. I would like to know your thoughts on this. Also, if you have additional prayers I can say for my emotionally and spiritually imprisoned daughter who has no idea she is under their spell, I’d appreciate it very much. the way to tell if something is biological is that they are consistently a certain way. nothing influences them to change for the better. but if something is spiritual, then they will change their behavior depending on who is around them….that is to say other people can influence their behavior. a proud spirit is contagious also…..
Just as I went to proof my very looooong post the lights started flickering and I felt we were going to have a power failure and didn’t want to risk losing everything. So, I posted my comment without proofing, unable to include the last sentence. Thanks Marianne. That makes total sense and explains my daughter’s behaviors when these toxic people were around her or when she was involved with them. It also explains why my daughter has turned against me. So for her, and most others, it’s not biological, it’s spiritual. That’s a huge relief. Thanks Marianne for this post…I have had horrible experiences with these spirits in my life time as well, my mother and my sisters as you may remember. I actually have an evil twin, my twin sister. They are not Cristians even though my mother taught Sunday school when she was in her twenties! I have left my adult siblings, (mother & father passed away)as their evil ways/ spirits were just too much for me. God wants us to pursue peace. The bible does say our families can be our worst enemies. I cannot associate with the person I’m talking about anymore. I can pray for her that’s all. As long as we are spirits of truth and light the evil spirits will attack us, for we are the truth & light that expose them, thus, the spiritual battle. Unless a person truly sees this within themselves & wants to command the spirit to leave, they will continue to be attached & ruked by this spirit.. It’s tough when it’s your own daughter. I would hang in there for her as well as a parental responsibility. But abusive adults, family, husbands, wives, etc. are another entity. This article seems to imply that people who have DID are narcissists or that DID isn’t a real problem. I have friends who have DID, a disorder that was purposely instilled in them through satanic, ritualistic, and sexual abuse in order that their abusers may use and abuse the person without their conscious awareness. (www.endritualabuse.org) This disorder has nothing to do with narcissism or the Jezebel spirit though anyone can be narcissistic or have a Jezebel spirit. The secular world has been trying to treat DID for a long time, but they are too proud and close-minded to find real answers; the Christian world has also tried to heal DID for a long time, but they are too selfish and self-centered to see resolution. Arendale – Thanks for your insightful post… I agree with everything you say. I’ve had extensive life-long experiences with mostly NPD (narcissism), and Sociopathy as well, and my adult daughter has DID but is not NPD. I have a good understanding of these disorders/demon possessions and will post later about why I think my daughter developed DID and I didn’t, even though i was raised around/by narcissists and my mother is a jezebel/psychopath. I think it will be helpful to others as well as raise awareness. Be back later. For now, your valid concern was addressed (see below) in my (above) very loooong post. To all – just thinking and writing this down as I had some thoughts. It will always seem like their are two in you. Their are only two seeds. The Serpent seed and Gods seed. While in this flesh body. Jesus had to deal with it as well and was a “virgin birth” but still had a flesh body. Satan come to Him. All the time. Especially through mankind and their false religions of the Pharisee’s etc. etc. We can never work enough to be worthy of Christ seed. That is why We Love our Savior. #1. He Only could give us the Grace and unmerited favor and then #2. Sanctify us for service in HIS WILL and then after you Obey His will #3. The Holy Ghost is given you .That is what the Bible literally teaches us in the New Testament. The Holy Ghost is given to those that seek HIM. Many people today can never get past the 1st or 2nd. stage of your birth. They get caught up in the birth canal and never come to life. And Never receive the Promises that God gave us. Without the Holy Spirit you have NO Guide and you are open bait for Satan’s attacks and you will not recognize the “Mystery of the Word of God”. The Holy Ghost is Power and Authority to put Satan under your feet. And step on his head. Literally We are the Head not the tail. When we come all the way into the Mystery of Christ. Which today it is still a mystery. When we Possess all 3 of Gods “attributes in us”. Then we can be Tutored to do the Fathers Business of Adoption #4. Then its then we have to HONE our Character to His. It becomes a Marriage. Right in this world not in the sweet bye and bye. We need “Marriage to Christ” if we are ever going to Overcome ALL obstacles that come our way in THIS WORLD. The two Characters are just the Worlds Character or Gods Heavenly Character. The Character of this world we live in is plainly seen by their works and evil doings of deceit and completely carnal to the Spirit of Jesus Christ World. Character is the Mark of God. Tried, Tested, Trials many, mistakes many, but “”Love pulls”” on us all the time. From our Husband. And we defeat the enemy on own his ground. Its a marvelous Experience to not be defeated anymore. Jesus is our Husband NOW. He died for us already to “Translate” Resurrect, Quickened, Raise us up into Holiness, and share all His secret Characters and mysteries of HIS own Love to just you HIS wife. Just like a Husband and Wife become ONE Character in all things. Mind, Body and Soul. That is the New Birth. The wife has to come to obedience to our Husbands Headship. Rom. 7 A wife is bound to her husband as long as He liveth. But if he died then she is ok to marry another. PRAISE GOD. I WAS MARRIED TO SATAN AND THE WORLD. BUT BECAUSE OF CHRIST COMING UNTO ME AND “IMPREGNATING” ME WITH THE “WORD OF GOD” BEFORE THE FOUNDATION OF THE WORLD. I WOULD HAVE NEVER RECOGNIZED I WAS MARRIED TO A DEVIL. I HOPE YOU ALL SEE IT. I’M JUST TRYING TO HELP IN YOUR WALK WITH CHRIST. The devils character attracts all the people that love this world. Where is our love today. No we cannot love both worlds and say we are Christs. It will not happen. That is why so many fall, and stumble, and go back to the world. 87% of the comers today in this modern church system can not be found in 5 years. That is the latest stat. From 1990 to year 2000. The Church of God ORGANIZATION took a 10 year survey of every state, and every county in every state. And was shocked at what came out of this survey. It came back as 0% NO CHURCH GROWTH in those 10 years. Wake up my dear brothers and sisters. Let us walk the walk and talk the talk and not be thinking their is TWO of us inside us. Its a lie. We can conquer the flesh man and our thinking. God said so. That settles it. PS which world are you catering to in your life. I got tired of catering to satan’s world cause it caused me a lot of trouble and trials and sufferings. Why? I could not let my mind get satisfied in the world. I even tried but could not do it. I had enough Word in me to be able to call on Jesus Christ one last time. And He mercifully forgave me. Religion is a great snare to many people and they just drop out and forget it. But I could not do that in my younger years. I lived in condemnation all the time. God must have had my name of the Book of life before the foundation of the world was ever made or I would have been a statistic as well . I finally got ” raptured out” of the world. How do I know that. = Cause I hate the world now. And I use to love it. Praise God people for your calling. Never give up. No matter what. That proves you are a Character worth being married to such a Great Husband as Jesus Christ – I want to shout a little now. Lord let this Word come into the people. Let us get more humble, and loving and a lot more stronger in the Word. And not get so offended by the Word by what someone else said to you. This is the only way we can come to the truth. We must stick out our neck sometimes to hear the Word of Truth. If I had to you will also have to. If you want to know for an Absolute truth of a matter in the Bible. Get other peoples views period and then sit down with God and ask HIM – He is your husband not your denomination. Where man settles it all. See what your Husband Jesus Christ says it is. And give Him time to show you and settle you until you can receive it. Today the Organization’s have taken over the Holy Ghost mouthpiece by their little church’s of Sanhedrin’s. And they like the Pharisees speak their own gospel message that they love. Now answer this question for yourself. Why is everybody dropping out of church in America and around the whole world. I listened to a man preaching on a tape last night in 1965 and he said the Pentecostals in 20 years will be like the Universal Catholic church. Well he was right on. Its already been hear for many, many years. They have become their own mouthpiece instead of Letting in their Husband to show and tell them the truth. Laodicea will not let Christ in their door. Read it. Rev. 3:14 is a good place to start to read it. That is us today as it was in Jesus day the same thing. Its so simple if you can just believe Christ is the Same yesterday today and forever. God is NEVER wrong in His Word. Well Marianne – If I just got your one amen . that satisfies me. Their is a lot of information in that post above. If people would just read it slowly. thank you for all that content! Amen, Beacon! Your are the Body of Christ. Praise the Lord Jesus. I too was a sinner.